SkiSport nimesi uudet maajoukkueet kaudelle 2016-2017. Sportti 23.5.2016. Keeshy sesh shows you how make the best... Downdays 14.4.2016. Keeshlife in Andorra – Joona Kangas & Antti Ollila. Prime Skiing 7.4.2016. Joona Kangas – Top 2 Bottom @ Levi Snowpark. Prime Skiing 22.3.2016. Joona Kangas pronsiille SFR-tourilla. 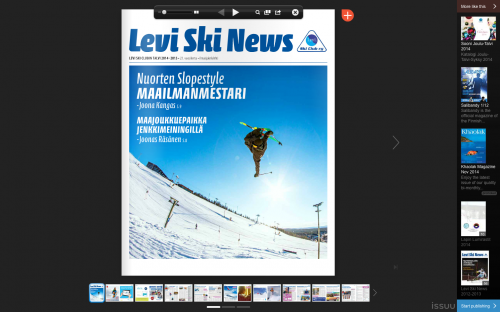 Ski Sport Finland 11.2.2016. And the winners of the ’16 Be @ B&E Invitational… www.freeskier.com 1.2.2016.